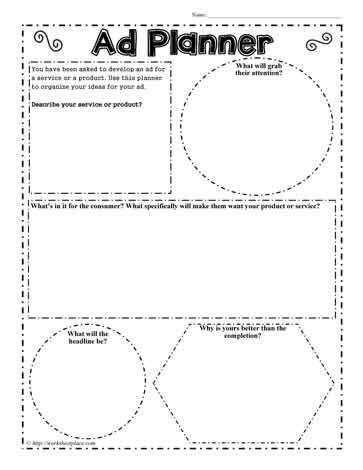 This graphic organizer is to help you determine how to plan for your product or service's ad campaign. Think about who the target audience is, what will make the audience want to buy your product? Media awareness is making sure you understand what people are looking for and how to be successful in planning your ads.